An airplane fight piloted by Denzel Washington may sound like a dream come true for most of the actor’s female fans. However, in his new movie “Flight”, it’s a nightmare come true. 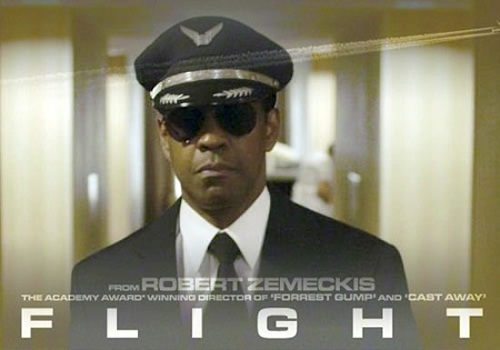 Whip Whitaker (Denzel Washington) is the pilot of a commercial airplane that maneuvers a crash landing immediately making him a hero until further investigation unearths some suspect behavior which may cost him his pilot’s license. 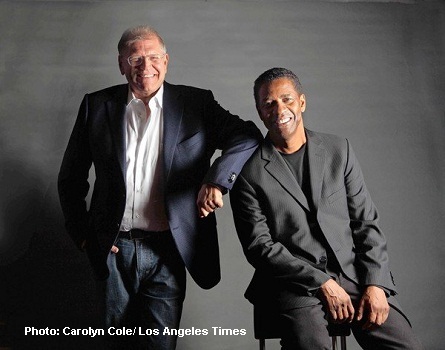 At a recent press conference, the actors, writer, and director of “Flight” gathered to answer reporters’ questions about the making of the film. Writer John Gatins said that he has had “some crummy flights”. But, the film is loosely based on real life flight number 707. Gatins explained, “a similar thing happened where the elevator (located on the planes top wing) got inverted and they temporarily flew the planed flipped. They said at least the plane is flying. That was inspiration for me.” According to Gatins, the plane crew said that if they know what happened, they would have descended with the plane inverted, which is what Washington’s character did in the movie. They don’t have the engines to cool it inverted. But, could fly for 15-20 minutes (with no engines). Actor Bruce Greenwood who played Charlie Anderson, Whip’s union rep said he had a frighting flight experience as a teenager that involved “ripped wings” and him swinging upside down. Greenwood that he was so panicked that he could not escape. The pilot was a friend’s dad. The plane filled with water and the dad had to rescue him. Greenwood said that he had been pulling his seat belt the wrong way the whole time. John Goodman said that his role as Washington’s drug provider, Harling Mays, a character that he describes as “a very needy guy that carries a 7-11 around with him and has a lot of friends” was a role he followed by the script and needed little to no improvisation at all. Paramount Pictures’ “Flight” movie opens in theaters Friday, November 2, 2012.